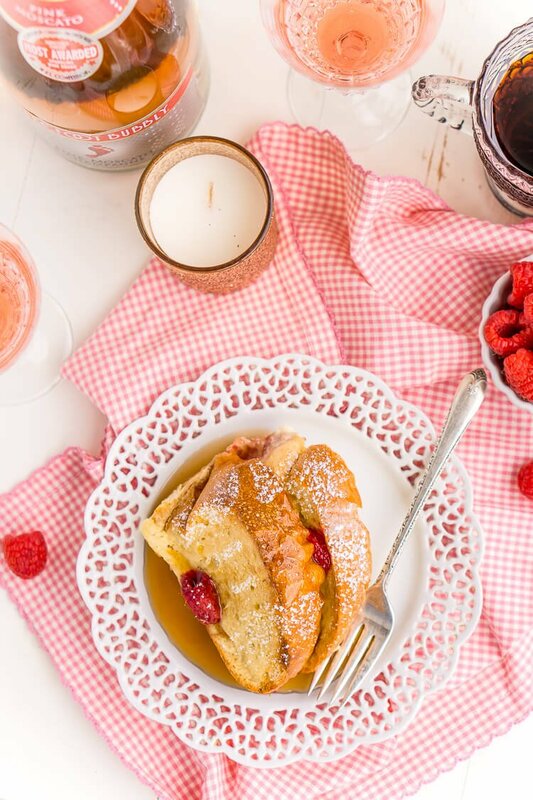 Champagne Raspberry Baked French Toast is the perfect way to kick off the New Year, Valentine’s Day, or an anniversary! Prep it the night before so all you have to do is bake it in the morning! 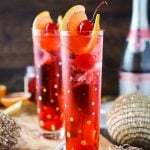 Sometimes I feel like we get so caught up in New Year’s Eve, that we don’t really do much celebrating on New Year’s Day. 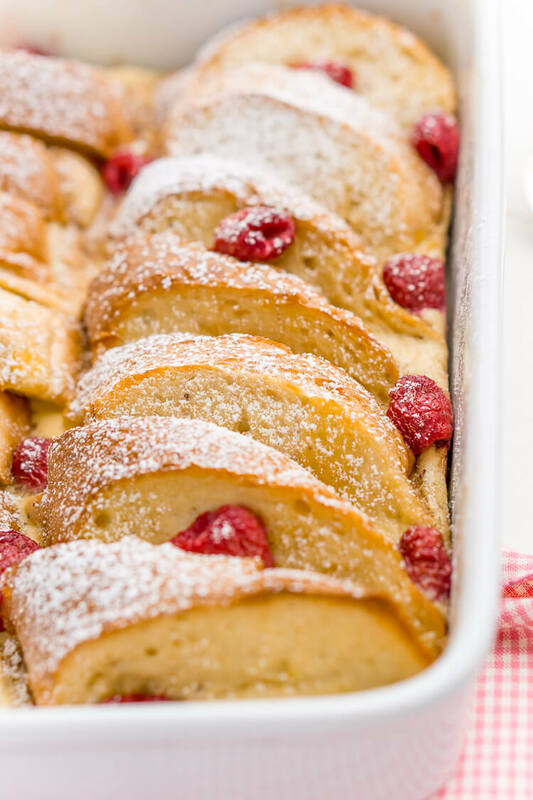 Most of my recipes for the holiday definitely focus on the night of the party, so I think it would be fun to carry things over a bit into the morning with this Champagne Raspberry Baked French Toast! This breakfast casserole can easily be prepped the night before so all you’ll have to do in the morning is pop it in the oven and bake! 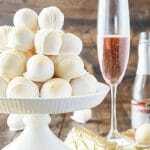 The pink champagne is whisked right into the egg mixture for light and fruit accents, then it’s loaded up with raspberries for little pops of flavor throughout. 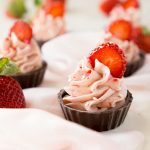 I love this recipe because it’s not too soggy or eggy, you get a soft center and a slightly crisp top. 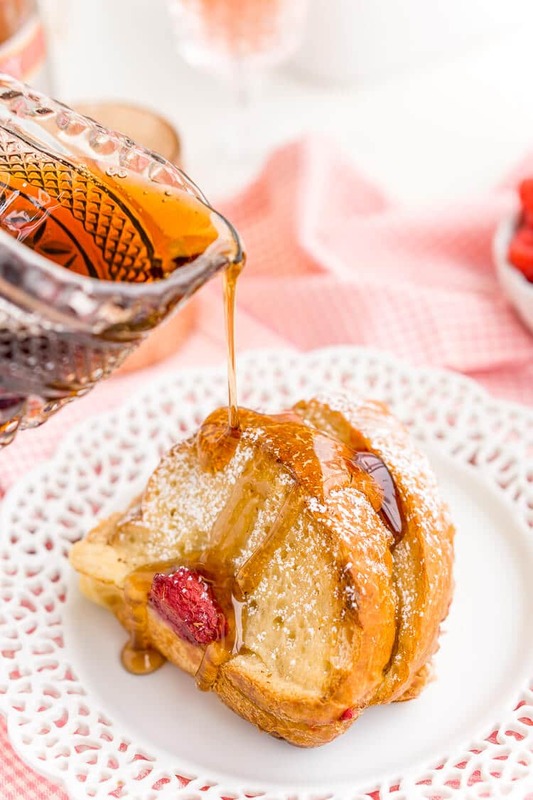 This confectioners’ sugar adds just the right amount of sweetness and the maple syrup pulls out some of the vanilla and cinnamon undertones in this dish. 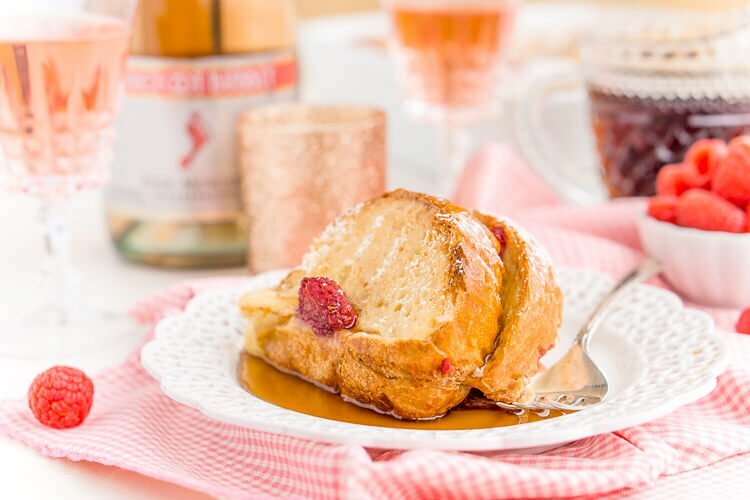 Overall, the dish is relatively mild, you won’t notice much of an alcoholic aftertaste and if you want to make the flavor even more vibrant, top the french toast with some of my Easy Raspberry Filling and whipped cream just before serving! 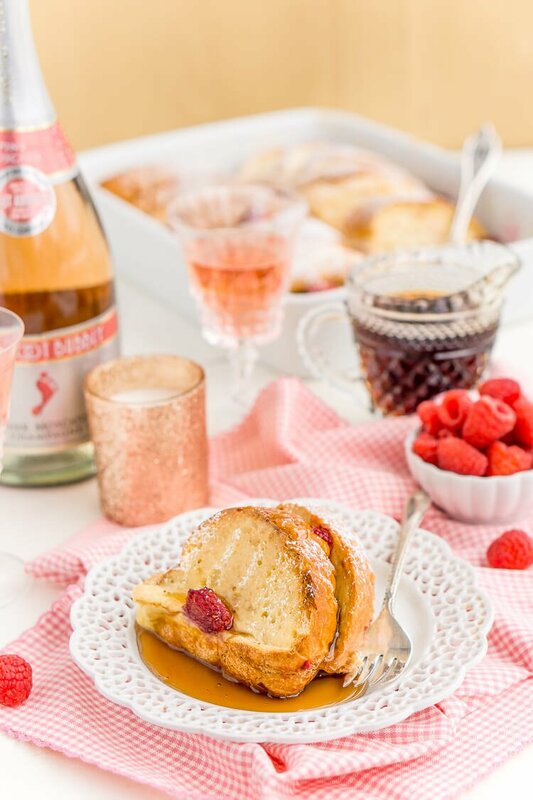 This is a delicious brunch dish that is perfect not just for New Year’s Day but for Valentine’s Day, bridal showers, anniversaries, and any weekend you just feel like indulging a little! 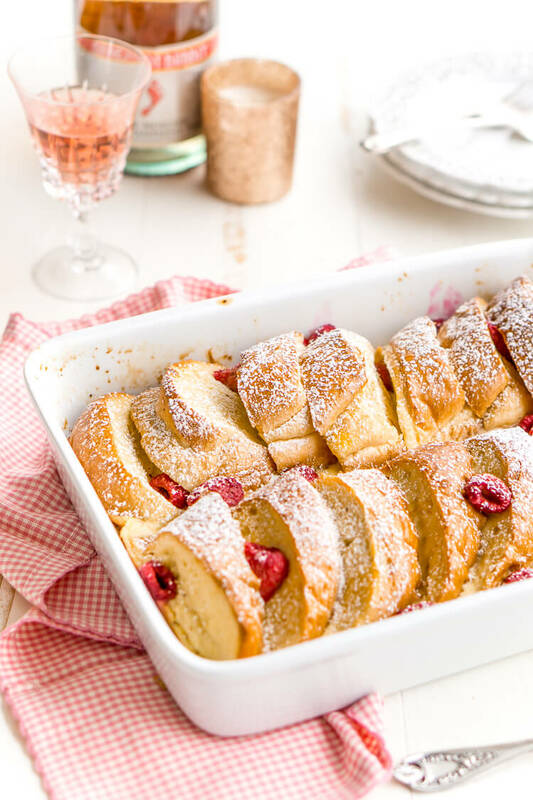 Champagne Raspberry Baked French Toast is the perfect way to kick off the New Year, Valentine's Day, or an anniversary! 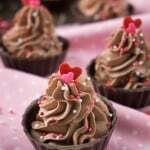 Prep it the night before so all you have to do is bake it in the morning! Spray a 9 x 13-inch pan with cooking spray. Slice french bread into 1 1/2-inch slices and arrange in two rows in the pan, overlapping each slice half way. 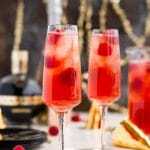 Beat together eggs, heavy cream, milk, champagne, vanilla, and cinnamon in a large bowl. Pour the egg mixture over the french toast, pulling the slices back a bit to evenly coat the bread. 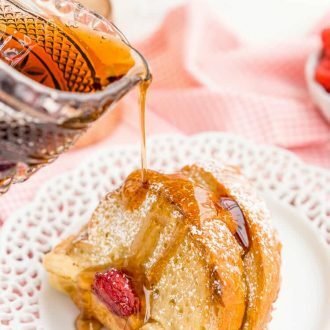 Use a basting brush to brunch the egg mixture on the top and bottom sides of the french toast, alternately, you may dunk the slices in the egg mixture before adding to the dish, then pour the remaining egg mixture over the french toast. 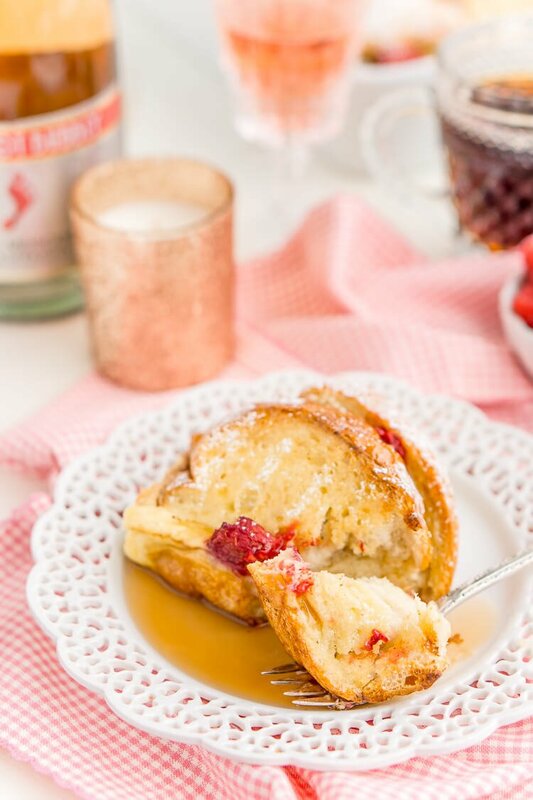 Tuck the raspberries in and around the french toast. Cover with aluminum foil and for at least 2 hours, preferably overnight. When ready to bake, preheat oven to 350 degrees F. Use a basting brush to brush the egg mixture over the french toast again. Cover back up with aluminum foil and bake for 30 minutes, remove the aluminum foil and bake for another 15 to 20 minutes until all egg mixture has cooked and fluffed up and french toast is golden brown. 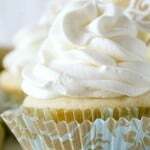 Serve with butter, confectioners' sugar, and maple syrup. 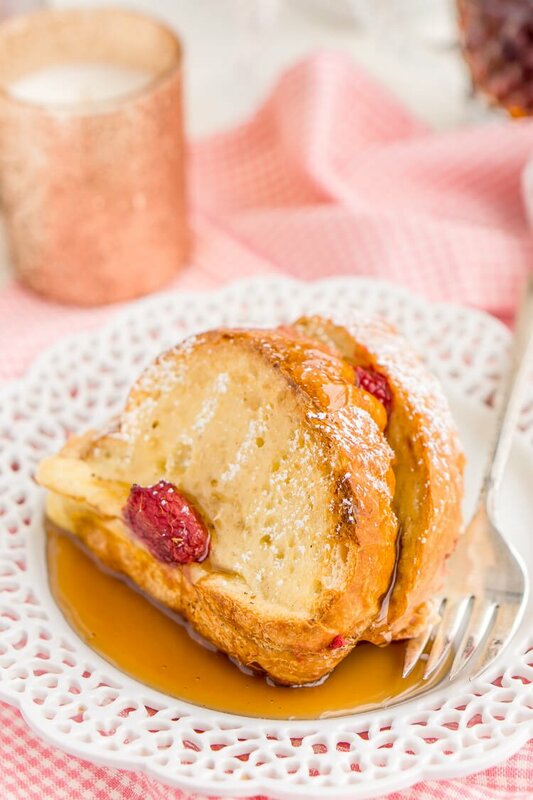 This sounds like the ultimate french toast! 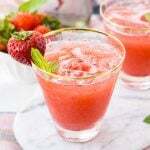 I love the combination of flavors!